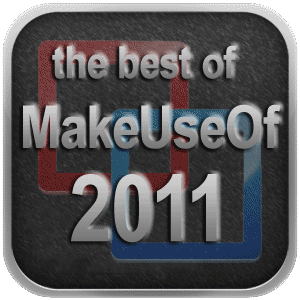 With 2011 now over, it’s been a wild ride here at MakeUseOf – so I thought it might be interesting to take a look back at the most popular articles of 2011. What stories did you appreciate so much you just had to share it with friends, or really got you talking? Read on to find out! How to Enable Facebook’s New Timeline Profile Before Anyone Else How To Enable Facebook's New "Timeline" Profile Right Now Before Anyone Else Gets It How To Enable Facebook's New "Timeline" Profile Right Now Before Anyone Else Gets It Yesterday Facebook announced a host of new features in what was described by industry observers as the biggest shakeup in Facebook's history. Most of these changes are obviously due to the emerging and growing threat... Read More : Mark was quick on the case with this quick and dirty little hack that involved signing up as a developer – now officially rolled out to everyone Facebook Timeline Now Available To All [News] Facebook Timeline Now Available To All [News] Facebook profiles around the world are due for a facelift as the social networking giant rolls out its new Timeline feature to anybody who wants it. The new profiles are set to be the biggest... Read More . 4 Things To Do When Your Facebook Account is Hacked 4 Things to Do Immediately When Your Facebook Account Is Hacked 4 Things to Do Immediately When Your Facebook Account Is Hacked Having your Facebook account hacked is a nightmare. Here's how to secure a hacked Facebook account and contain the damage. Read More : Keep Tina’s tips bookmarked in case it ever happens to you. Add Nyan Cat To Your Progress Bars Add Nyan Cat To Your Progress Bars, Because It's Awesome Add Nyan Cat To Your Progress Bars, Because It's Awesome Is your Windows progress bar stupid, green and boring? Make it 5011% more awesome: add the infamous Nyan cat to it, complete with the trademark music and rainbow. It's just a simple download away. There... Read More : Also taking the award for the most useless tutorial published on MakeUseOf, Justin showed us all how the cute rainbow poptart feline (with accompanying soundtrack) could be embedded into the very core of Windows. How to Check if Someone Else Is Accessing Your Facebook Account How to Check if Someone Else Is Accessing Your Facebook Account How to Check if Someone Else Is Accessing Your Facebook Account It's both sinister and worrisome if is someone has access to your Facebook account without your knowledge. Here's how to know if you've been breached. Read More : It’s another Facebook security article, with this simple way to check if you’re being hacked! Thanks Steve! 8 Free Tools To Visualize Information on Twitter 8 Free Tools to Visualize Information on Twitter 8 Free Tools to Visualize Information on Twitter Read More : Nancy knows that a long list of tweets isn’t always the best way to look at Twitter, so check out some of these tools to really understand what’s going on. Or don’t, because Twitter’s mostly noise anyway How The London Riots Showed The Dark Side Of Social Media [Opinion] How The London Riots Showed The Dark Side Of Social Media [Opinion] As I sit here wondering how things will pan out for London after the riots, I can’t help but turn towards Twitter for relevant information about my local area. The media is repeating the same... Read More , according to me. 9 Easy Ways to Never Get a Virus 10 Easy Ways to Never Get a Virus 10 Easy Ways to Never Get a Virus With a little basic training, you can completely avoid the problem of viruses and malware on your computers and mobile devices. Now you can calm down and enjoy the internet! Read More : Some of us just never get viruses, and don’t waste money and computing resources on virus scanners either – and it’s down to these 9 easy preventative steps. 5 Cool Twitter Search Tricks to Monitor What People are Saying About You 5 Cool Twitter Search Tricks to Monitor What People Are Saying About You 5 Cool Twitter Search Tricks to Monitor What People Are Saying About You If you own a website or are just trying to earn money online as a freelancer, it is always good to know what people are saying about you over the Internet. People may be citing... Read More : While I severely doubt anyone is talking about me on Twitter, if you have a brand or company like Nancy does and want to keep track of social opinion and reactions, you’d be well advised to try these awesome tips out. 5 Things You Need to Stop Posting on Facebook 5 Things You Need to Stop Posting on Facebook 5 Things You Need to Stop Posting on Facebook We've discussed things that annoy Dave on Twitter, and we've even talked about how you may have compromised your security on the Internet. However, it seems as if Facebook brings both of those topics together.... Read More :in which Joshua makes a case for not wanting to see your holiday snaps, vague messages about unspecified people, chain letters, or location updates. 5 Apps That Let You Video Chat With Facebook Friends 5 Apps That Let You Video Chat With Facebook Friends 5 Apps That Let You Video Chat With Facebook Friends Read More : Steve is a Facebook pioneer it seems, and was on top of Facebook video chat well before they officially integrated Skype into Facebook Facebook Introduces Video Calls Using Skype [News] Facebook Introduces Video Calls Using Skype [News] Facebook has just announced new video chat features using its long-awaited Skype integration. The announcement come hot on the tail of Google's Google Plus release, which features group video hangouts. Facebook users can try the... Read More . 10 Ways to Update Facebook and Twitter Simultaneously 10 Ways to Update Facebook & Twitter Simultaneously 10 Ways to Update Facebook & Twitter Simultaneously Read More : Though this would be at the top of my own list of things to not post on Facebook, Nancy shows us exactly how to spam your status updates to both Twitter and Facebook! 10 Most Disliked YouTube Videos of All Time The 10 Most Disliked YouTube Videos of All Time The 10 Most Disliked YouTube Videos of All Time With so much content on YouTube, it's always fun to look at the best, or, in this case, worst, videos. Let's see which YouTube videos have gotten the most hate... Read More : Though Facebook has been resolute in not giving us a well needed dislike button, YouTube has had it for ages. Check out Steve’s list of what made YouTube users cry out in pain. 5 Tips and Tricks For Avoiding Facebook Phishing Scams 5 Tips & Tricks To Avoid Facebook Phishing Scams 5 Tips & Tricks To Avoid Facebook Phishing Scams Read More : Nancy shows you how to avoid the new scourge of phishing scams, this time targeting your Facebook data. How to Turn Off the Photo Viewer in Facebook How to Turn Off the Photo Viewer in Facebook How to Turn Off the Photo Viewer in Facebook Read More : If the lightbox style photo viewer isn’t to your fancy, Nancy has you covered with these 5 methods to deal with it. How To Create an iPhone or Android App Without Any Coding Skills How To Create An iPhone Or Android App Without Any Coding Skills How To Create An iPhone Or Android App Without Any Coding Skills If you're really eager to make a mobile app, a website called Buzztouch may well be the web-based solution for you. Buzztouch is essentially Content Management Software for iOS and Android. It provides a template-based... Read More : Bakari shows us a few fantastic tools to turn your app ideas into a reality. What are you waiting for? 5 Xbox Kinect Hacks That’ll Blow Your Mind 5 Microsoft Xbox Kinect Hacks That'll Blow Your Mind 5 Microsoft Xbox Kinect Hacks That'll Blow Your Mind Read More : A year ago I highlighted some of of the fantastic projects that people have hacked together on the Kinect platform. 8 Reasons Why I Switched to A Mac 8 Reasons Why I Switched To A Mac 8 Reasons Why I Switched To A Mac I've been using Macs for about 5 years now, and before that I was a 100% Windows and PC guy. What happened exactly? Why did I switch? Without wishing to start a flame war, here... Read More : Possibly the most controversial post of the year, in which I outline why the Mac is now my primary computing platform. The 5 Most Annoying Things People Do On Twitter The Five Most Annoying Things People Do On Twitter The Five Most Annoying Things People Do On Twitter Twitter also has a darker side. It is filled with annoying idiots who seem to tweet for the sole purpose of making everyone who has the misfortune of meeting them annoyed. These are the places... Read More : It’s not just Facebook that’s full of rubbish you know, so here’s Dave letting off some steam about what Tweets he just can’t stand. 3 Unique and Creative Uses for Dropbox Accounts 3 Unique & Creative Uses For Dropbox Accounts 3 Unique & Creative Uses For Dropbox Accounts There is no end to just how useful Dropbox is, and it's no secret how much all of us here at MakeUseOf love the service they provide. You'd think it couldn't get much better than... Read More : Nancy outlines how you can use Dropbox to listen to music, create a portfolio, or even host an entire website. Amazing! How To Root Your Android Phone With Super One Click How To Root Your Android Phone With SuperOneClick How To Root Your Android Phone With SuperOneClick Read More : An essential first step for any new Android owners, Ryan showed you a nice and easy rooting method, though you do need to install a SDK too How To Capture Screenshots With Your Android Mobile Phone How To Capture Screenshots With Your Android Mobile Phone Read More . The 7 Best Powerful Netbook Applications That Don’t Chug System Resources The 7 Best Powerful Netbook Applications That Don't Chug System Resources The 7 Best Powerful Netbook Applications That Don't Chug System Resources Read More : in which Matt shows exactly how to get the most functionality from an underpowered netbook – but advice that could really be applied to any PC. 8 Spectacularly Wrong Predictions About Computer and The Internet 8 Spectacularly Wrong Predictions About Computers & The Internet 8 Spectacularly Wrong Predictions About Computers & The Internet Read More : While I’m not adverse to making predictions of my own 4 Tech Predictions for the Next Few Years 4 Tech Predictions for the Next Few Years I’d like to think that after being immersed daily in the technology industry for years now, I can tell when a trend has begun and generally how things are likely to pan out - so... Read More , Tina finishes off the list by examining some of the more hilariously off-target computing predictions from the last few decades – like this little gem “Computers in the future may weigh no more than 1.5 tons” – Popular Mechanics, 1949. That’s all folks! I’d like to take this moment to thank all my fellow writers for making me feel welcome since I joined in December 2010, and for continuing to publish fantastic and useful articles week after week – as well as to all our readers for sticking with us, MakingUseOf our tutorials, and generally being awesome! Stay tuned for ever more fantastic articles, and do let us know in the comments if you had a particular favourite article of 2011! Just testing comment points method, please dont delete me!